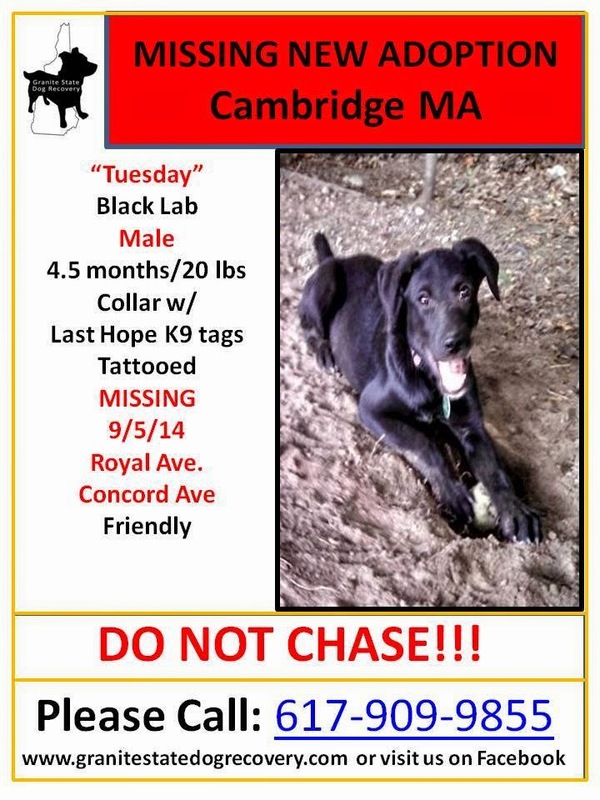 The picture is of a 5 month old black Lab named Tuesday, missing from the Concord Ave/ Royal Ave area of Cambridge, Massachusetts, on Friday 5 Sept. The dog has a collar and tags and is tattooed. Please call 617-909-9855 with any sightings or other information.